The kitchen is the centrepiece of any home, hence it needs constant attention to ensure it stays fresh and hygienic all day every day. 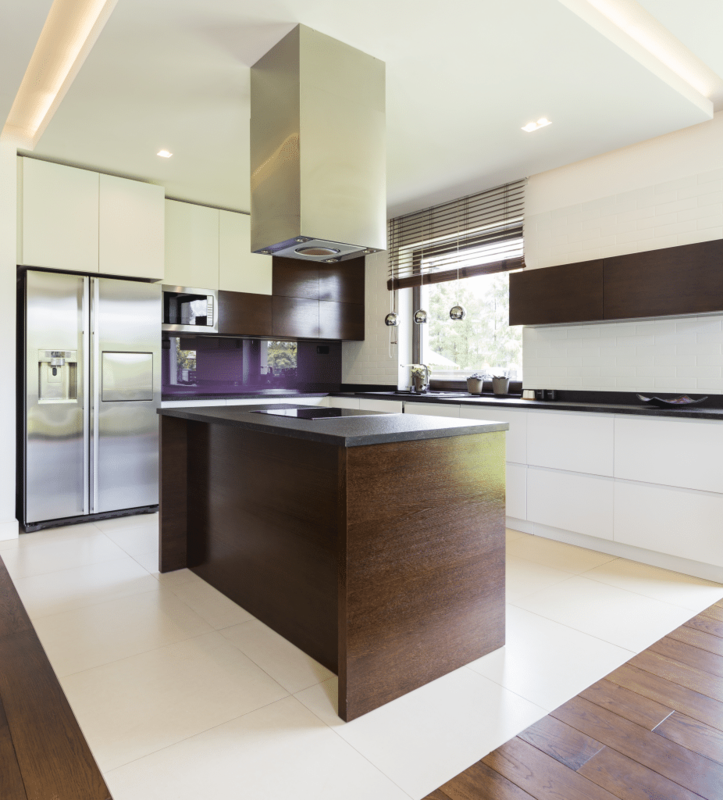 While maintaining a clean kitchen can be a drag, it does not always need to take up all your time. As an industry leader in kitchen renovation in Sydney, we know that maintaining a clean kitchen is more about creating good habits than anything else. We hope that by the time you finish reading this, you will have adopted some hot tips on keeping your kitchen clean every time you cook. Every item in your home, cutlery, food or appliance should have a permanent home. Having a dedicated location for the things in your kitchen will help keep things in order and tidy. Furthermore, having a location for your utensils will mean that there will be fewer items on the counters. Start by creating and organising workstations in your kitchen. The goal is to set up workstations so that things are easily accessible. For instance, set up a beverage workstation and have all the hot chocolate, coffee, protein powder and tea in that area for easy access and return. Also, place the smoothie cups water bottles, mugs, and glasses in that region of the kitchen. A cluttered or overly crowded countertop can make your kitchen feel dirty and claustrophobic. Start by clearing things off your countertop to create more space. Use a clean, damp cloth to wipe off dirt and spills. A clean and clear countertop is not only refreshing, but also inspiring. Remove items from your refrigerator that you no longer need or are out of date. Reorganise your vegetable crisper every few days to boost the longevity of the remaining produce. Wipe down the shelves and pop in a box of baking soda to capture any odours. Also, make sure to clean your microwave daily to prevent the buildup of smell. Regularly vacuum your kitchen floors to clear out any spilled food, dust or pet hair. Empty the kitchen bins and give the floor a quick clean with a mop or steam mop. The idea behind this is to use any breaks between cooking to clean up and put away things that you are no longer using. You do not want to leave anything that you can take care of right away for the last minute as it will only be harder to remove the longer you delay it. Prepare a large bowl of warm soapy water that you will use to clean utensils that you no longer need as you cook. 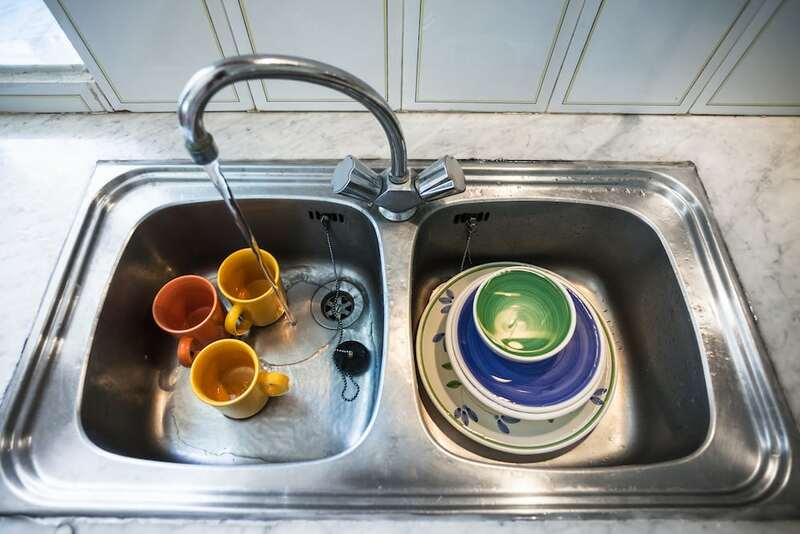 Wash these utensils right way instead of letting them pile up to wash later. Leaving them to pile up for later will only make the whole process longer and more tiresome. A garbage bowl saves you multiple trips to the garbage and reduce spills and dropped peels. Put away the ingredients that you have finished using and throw out empty packaging immediately. This will help you maintain an organised kitchen and leave you with more working space. A fresh spill is a hundred times easier than one that has baked on the surface. Always clean up spills on your kitchen counters and floor right away. 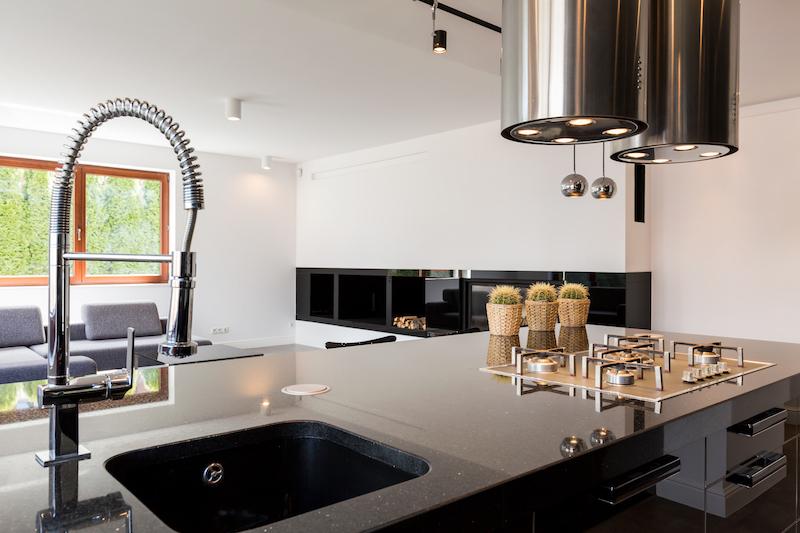 Following these tips will certainly help you maintain a clean kitchen while you are cooking. It will save you from having to dedicate half a day to wash and clean your kitchen when you could be spending it more productively. If you’re not happy with the way your kitchen currently looks, Kitchen & Stone can help change that. 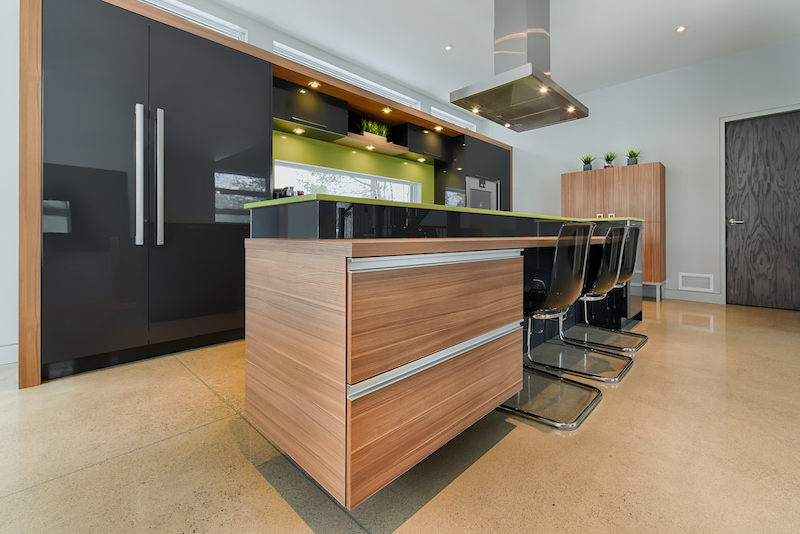 We are able to custom design, build and install your dream kitchen according to your desires. 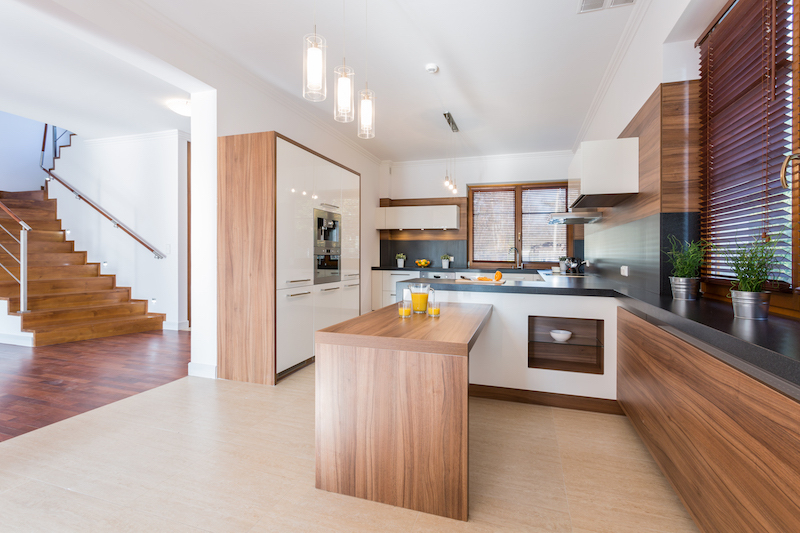 Simply contact us on 1300 625 179 or visit our website www.kitchenstone.com.au and check out our amazing gallery and kitchen designs.